Speak Out, Do the Right Thing and You’re Fired! Public employees have one major advantage over those who work in the private sector—the protection of state and federal constitutional rights. However, these rights are not absolute. Public employees who want to know if they could lose their job if they speak out about an issue will find that the law is confusing and ambiguous. This is especially the case where the employee is pointing out malfeasance, corruption or other activity harmful to the public on the part of the public employer. Since 1968, Pickering v. Board of Education has governed the area of free speech of public employees. Pickering, a public schoolteacher, had written a letter to the local newspaper criticizing the school board’s handling of bond issuance and other financial management decisions. Pickering was subsequently fired because his statements were found to have been detrimental to the efficient operations of his employer. The U.S. Supreme Court found that Pickering’s free speech rights as a citizen to comment on matters of public concern (school board financial issues) outweighed the effects of his statement on school operations. The so-called Pickering test required courts to weigh the free speech rights of employees against the interests of the public employer when determining whether adverse action against the employee was lawful. In 2006, a sharply divided U.S. Supreme Court greatly limited Pickering protections in Garcetti v. Ceballos. Ceballos, a Los Angeles County assistant district attorney, discovered that a warrant issued by the sheriff’s office contained serious misrepresentations. Ceballos prepared a memo recommending that the case be dismissed. Ceballos even testified for the defense about inaccuracies in the warrant. Ceballos was denied a promotion and was reassigned to a lower position in an inconvenient location. He then filed suit, alleging retaliation for exercise of his First Amendment rights. The U.S. Supreme Court ruled that, although his speech involved a significant matter of public concern, the First Amendment did not shield him from adverse employer actions because Ceballos’ communication was part of his job duties. The irony of Garcetti is that employees whose duties involve analysis, recommendation and reporting, i.e., those who are most likely to have evidence of wrongdoing, are least likely to be protected by the First Amendment. The question of first impression in these cases now is what forms of employee speech are job-related (and not protected) and what forms are made pursuant to their role as citizens (which are protected). This has created a plethora of conflicting holdings. Some courts find nearly any speech remotely connected to employer interests to be unprotected, while others find that speech is protected so long as there is no specific duty to report. This creates an obvious incentive on the part of public employers to thwart employee First Amendment rights by drafting overly broad job descriptions. Several cases illustrate this split in court rulings. In a Texas case (Charles v. Grief, 522 F.3d 508, 5th Cir. 2008), a systems analyst for the Texas Lottery Commission sent an email to the Texas Legislature with allegations of both racial discrimination and violations of the Texas Public Information Act. When the employee was fired two days later, he sued his supervisor for violating his First Amendment rights. The court found in the employee’s favor on the basis of (1) his communication was directly to the Legislature and not through an internal grievance process (which could arguably be job-related under Garcetti), and (2) his action could not be related in any conceivable way to his job duties as a computer systems analyst. Conversely, a correctional officer in an Indiana prison (Spiegla v. Hull, 481 F.3d 961, 7th Cir. 2007) was not protected. The officer was transferred to a less desirable shift after reporting that other officers were unloading suspicious bags and circumventing the prison’s vehicle search policies. The rationale for this decision was that the act of reporting security breaches was pursuant to her official job duties. A more recent Supreme Court case (Lane v. Franks, 573 U.S. ____, 2014) suggests that the Court is seeking a return to Pickering-style balancing of the respective rights of public employees and public employers while attempting to limit the expansion of Garcetti. Although this is encouraging, what seems to have been lost is any consideration of the public’s right to the fair, honest, efficient and transparent operation of their governing institutions. Employees who call out wrongdoing by public officials—the so-called “whistleblowers”—frequently pay a high price professionally, financially and emotionally. 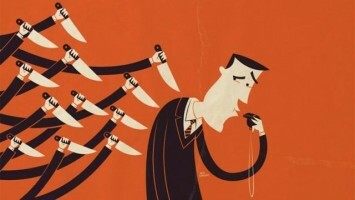 Like First Amendment protection, public employee whistleblower protections are also complex and convoluted, requiring employees to adhere strictly to byzantine procedural sequences before statutory protections apply. Employees are not likely to consult an attorney before committing an act (in their view) of public service or moral righteousness. If the objective is to restore public trust in government, the law should not permit the punishment of public employees for telling the truth. One Response to Speak Out, Do the Right Thing and You’re Fired! This is so true! I’m a public employee and blew the whistle on my manager. I work for an inspector general office. We fight fraud, waste, and abuse. My manager was covering it up. She said we couldn’t afford to piss people off. Next thing I knew, they sent me out on an audit with her. She talked privately with the auditee (who was possibly committing the fraud) and apparently cooked up a nice story about me and a complaint. I will NEVER forgive those people. I have PTSD because of the manager and Deputy IG what they did to me. Their careers should be ruined, both of them for what they’ve done to people.